Understanding the language used by Katy HVAC repair professionals to describe various components of your heating and cooling system can help you make the most informed decisions when planning for repairs or replacement. This can potentially save you money over the life of your system. Here are six key terms used in the HVAC industry. Perhaps the most important acronym for new systems, SEER stands for Seasonal Energy Efficiency Ratio and measures the overall efficiency of air conditioning equipment during operation. As of January 1, 2015, the minimum allowable SEER rating for new air conditioning systems throughout the United States is 13; SEER ratings of 14 are required for systems in our area. Choosing a unit with a higher SEER rating can significantly reduce your cooling bills and can provide you with added comfort during hot Texas summers. 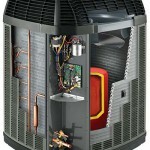 Also known as variable-speed systems, modulated equipment offers more than simple on-off functionality for homeowners. By varying the amount of power devoted to keeping your home cool, these systems offer improved energy efficiency and more accurate climate control for your family. If you are in the market for a new HVAC system, consulting with your Katy air conditioning service professional can provide added guidance in finding the right solutions for your cooling needs. When replacing your current system, your Katy installation experts will typically perform a load analysis to determine the right size and capacity for your home’s size and cooling needs. These load calculations are essential to ensure that you enjoy the greatest possible indoor comfort and the most efficient operation of your new heating and cooling equipment. An acronym for Minimum Efficiency Reporting Value, MERV ratings indicate the ability of air filters to remove particulate matter from the air. Filters with lower ratings provide less protection against small particles. MERV 16 filters are suitable for use in hospitals and clean rooms. Consulting with your air conditioning technician can help you choose the right filter for your system and your indoor air quality needs. In the HVAC industry, zoning refers to the use of separate thermostats to manage climate control in various areas of your home. For instance, a large family room might require its own thermostat while all bedrooms on a single floor might share a zone and a common thermostat. Zoned systems offer greater flexibility and can be especially useful in families with widely different preferred temperatures in their personal living spaces. By implementing heating and cooling zones, you can ensure individualized comfort in every area of your Texas home. British thermal units, also known as BTUs, are a way to measure the cooling power of a particular air conditioning system. One BTU is defined as the amount of energy required to increase or decrease the temperature of one pound of water by one Fahrenheit degree. BTUs are used to describe the size of cooling systems and to allow proper sizing of equipment for homes and buildings of all sizes. Working with an experienced HVAC company can ensure that your new system has enough power to keep your home cool all summer. At All Out A/C & Heating, we specialize in providing you with the most effective Katy air conditioning repair and replacement services to keep you and your family cool and comfortable even on the hottest summer days. Our skilled technicians can provide you with the best guidance and support for your HVAC system throughout the year. We are locally owned and operated and have more than 25 years of experience in the heating and cooling industry, allowing you to enjoy greater confidence when entrusting your system to us. 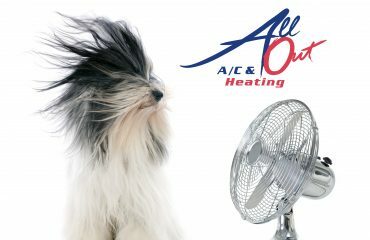 Call All Out A/C & Heating today at 281-238-9292 to schedule an appointment with our tech team. We look forward to keeping you and your family comfortable.